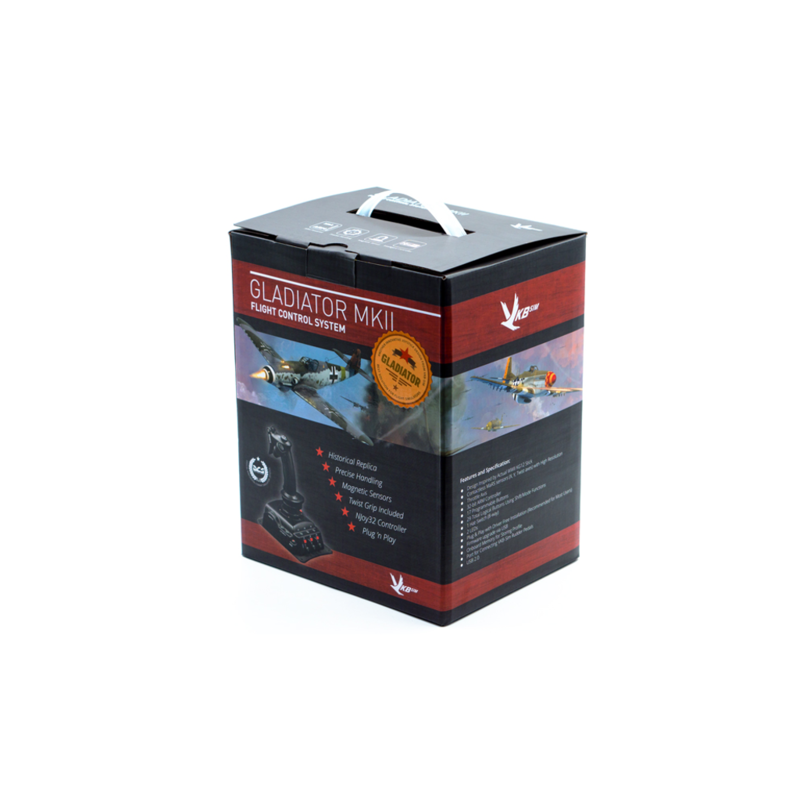 VKB-Sim Gladiator Mk.II is the latest mass-market joystick made by VKB. 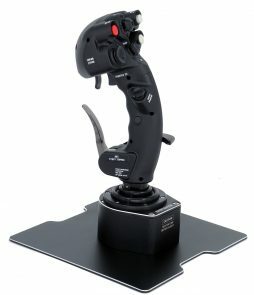 A grip is designed by VKB engineers based on well-known KG12 grip used on number of WWII airplanes and adapted for PC pilots to be more ergonomic for tabletop use. 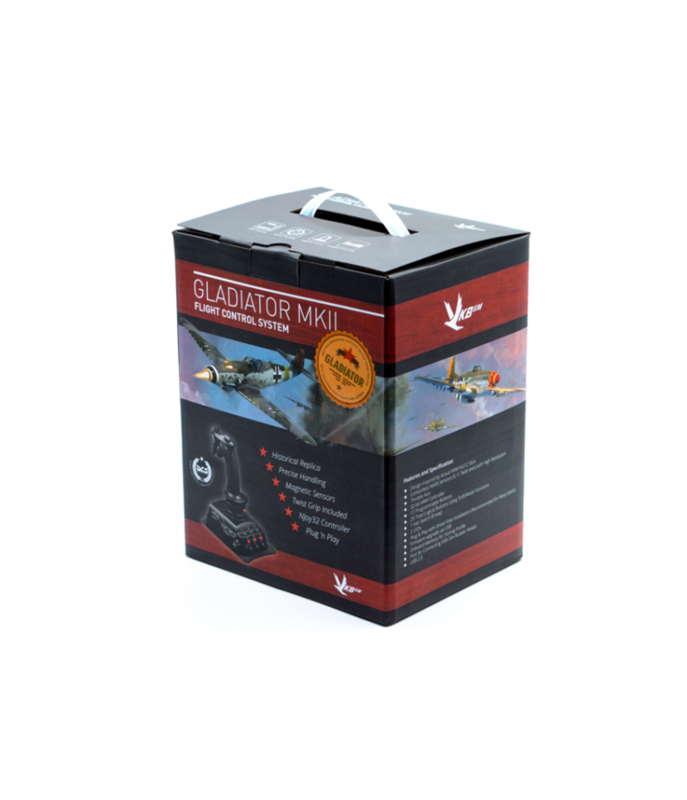 Gladiator Mk.II is a desktop joystick featuring highly accurate magnetoresistive (MaRS) sensors for pitch, roll and yaw axis. 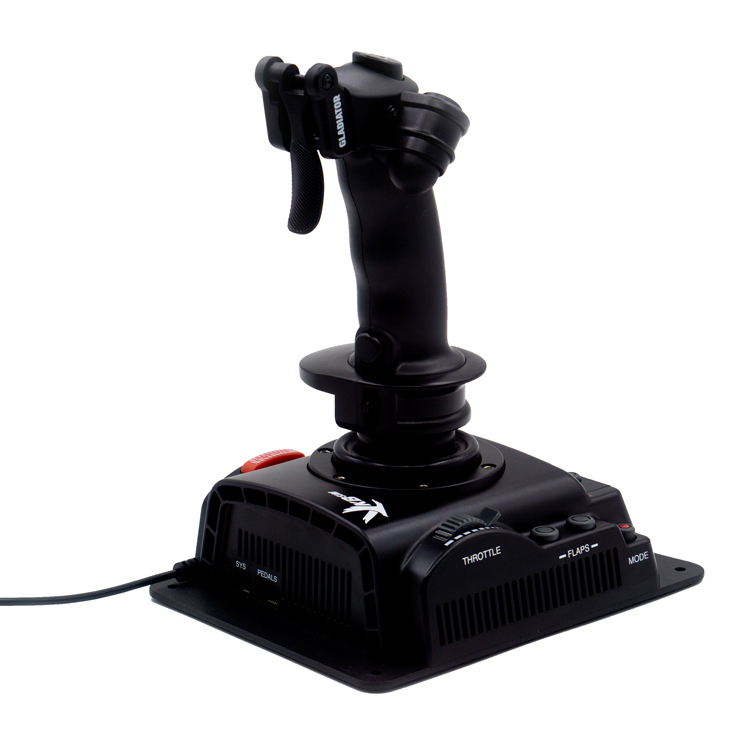 It allows to connect VKB T-Rudder pedals directly to the joystick without Tiny controller or Black box and presents both joystick and pedals as a single USB device. 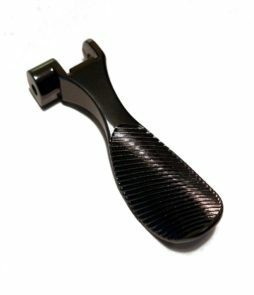 The pedals are configurable with provided software as an additional axis. 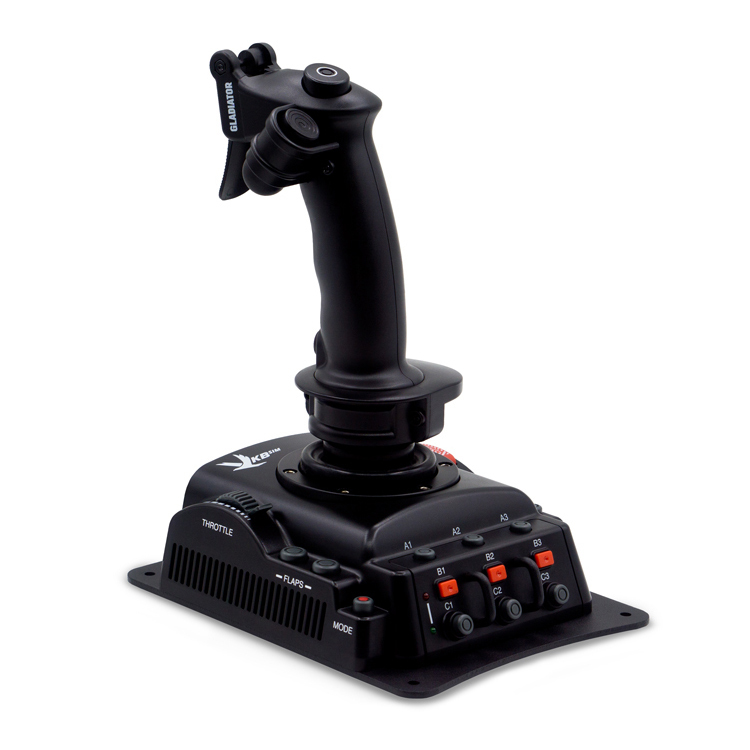 It simplify configuration and makes both of them easier to manage within your PC simulator or a game. Pitch, roll and yaw (twist) axes are equipped with MaRS sensors.